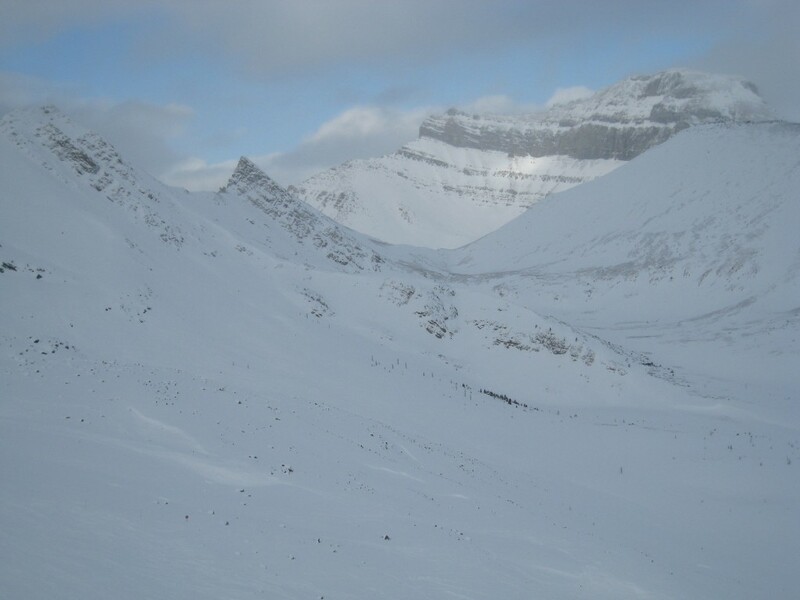 Lake Louise is the most northerly resort we have skied so far, in far western Alberta, Canada. Located inside a national park, it’s one of the most beautiful places we’ve ever skied. 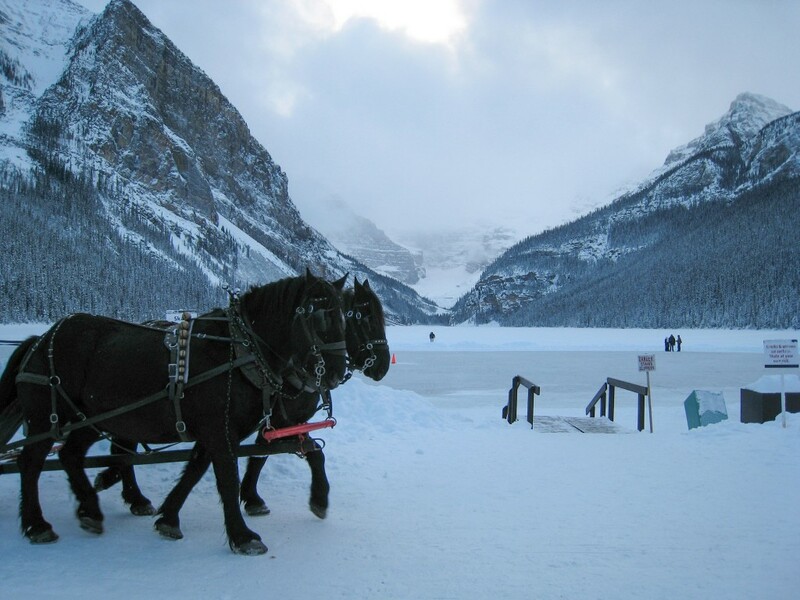 Lake Louise is one of those iconic resorts every serious skier should try to ski at least once. As a place for a ski vacation it’s hard to beat. You can stay in nearby Banff and take an easy freeway drive to the resort on empty roads, and then enjoy an uncrowded day in some of the best scenery at any North American resort. 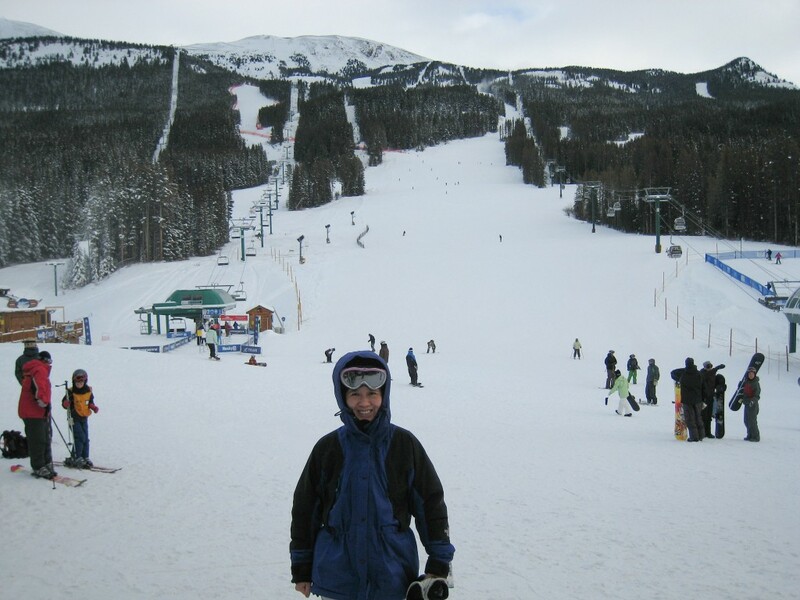 We were there just before Christmas 2007 when the Canadian Rockies had received more snow than just about anywhere else in the West. We skied on the shortest day of the year, which was interesting because it is really far north. The sun came up just about the time the lifts started, and set when the lifts closed. By the time we got back to our hotel it was dark. The Top of the World 6-pack and Larch quad were our favorite lifts. The gondola also has some great terrain. The Paradise Triple was open, but the top of the mountain is very boney and with early-season conditions in effect, there were a lot of rocks so it was a one-run affair. Later in the year this would be my favorite lift. Everything was open except for the summit platter. This brings up the biggest problem with the area which is the lift infrastructure. The fact that the only lift to the summit is a surface platter lift tells you all you need to know. 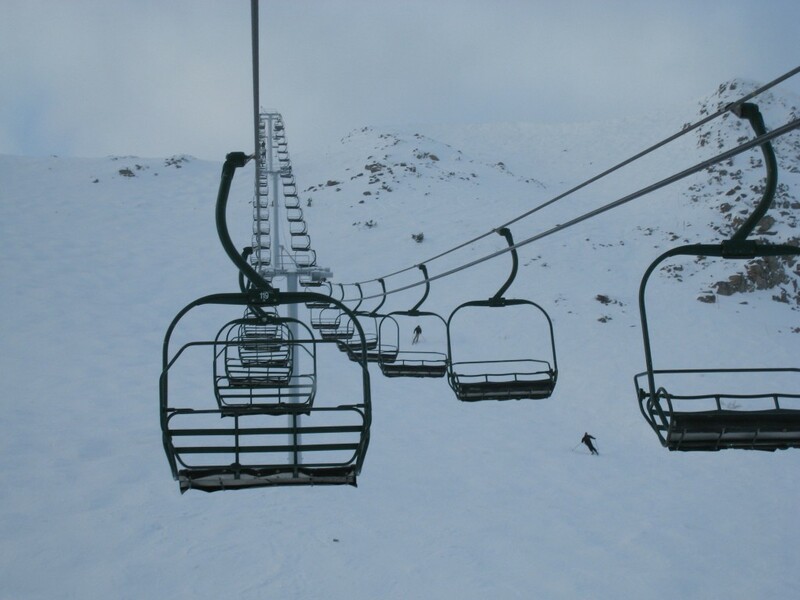 That lift serves probably over 1,000 acres of terrain, most of which can only be skied again after taking 2 long lifts back to the top. Although there are 4 high-speed lifts, except for the gondola they all have modest vertical drops. The base lodge is an impressive log building with decent food. There is one other place to take a break which is the Temple lodge on the backside. 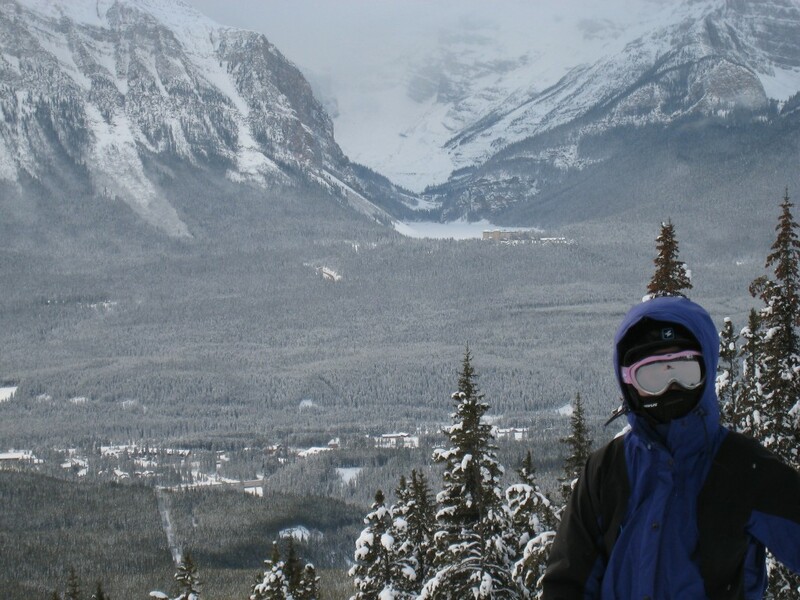 One more thing of note about Lake Louise is the impressive snowmaking system, which covers an almost unbelievable 1,690 acres of terrain — the most in Canada. That is enough terrain to keep most people happy even if NO natural snow fell. It’s also very cold there, which helps to preserve what snow does fall. So even though the snowfall is about half of what we like to see for a “top” resort, the snow conditions are better than you would imagine. 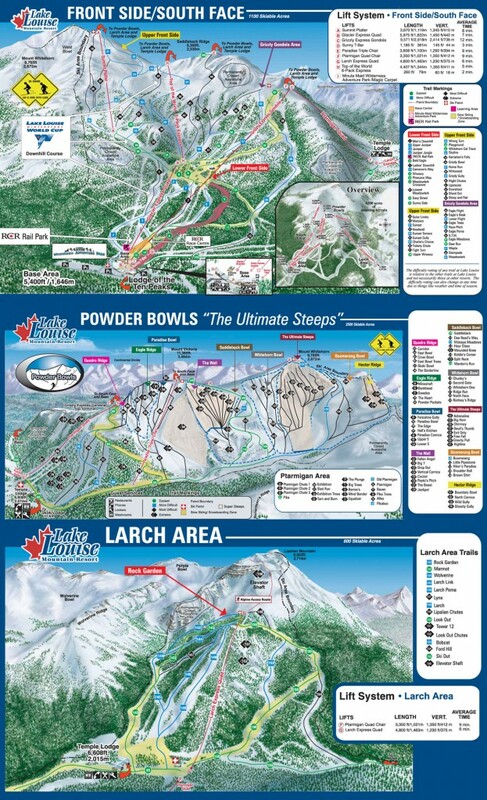 There is something intangible about Lake Louise that is not reflected in the trail map or mountain stats. It feels like a winter wonderland when you are skiing there. 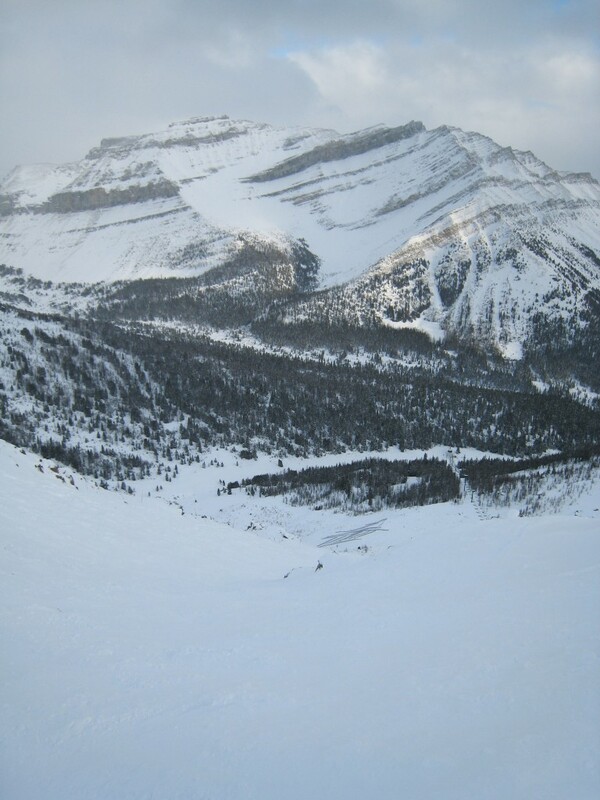 It’s very hard to get to for us, but if we ever get back to Banff we will definitely ski Lake Louise again.